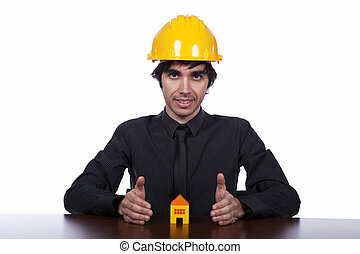 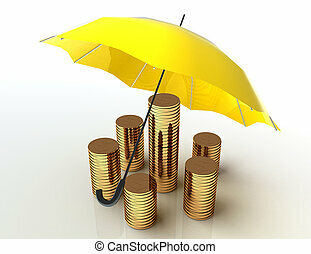 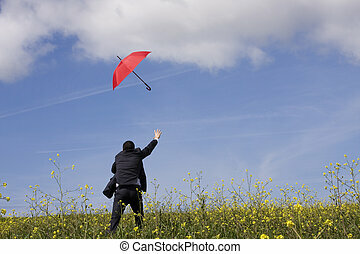 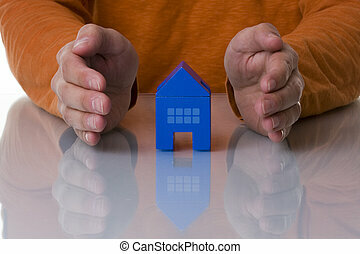 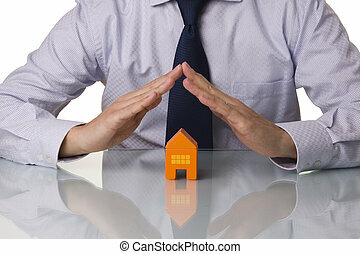 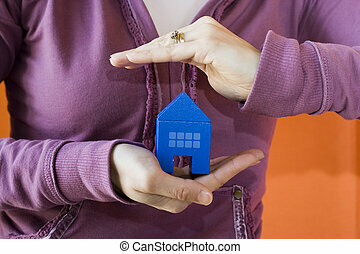 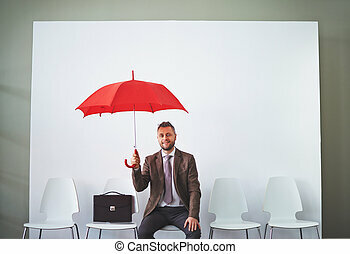 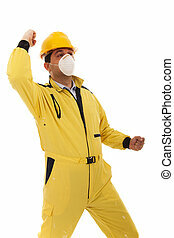 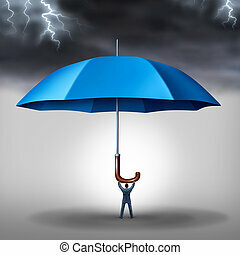 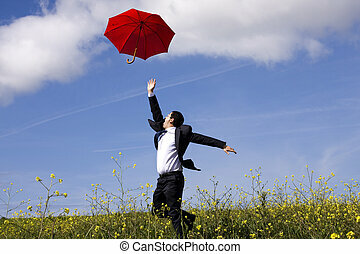 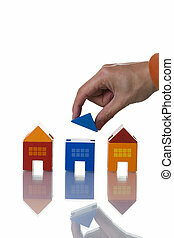 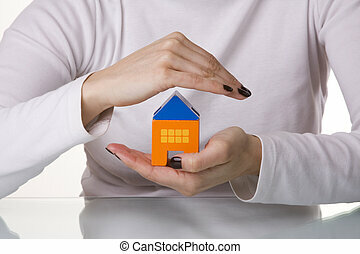 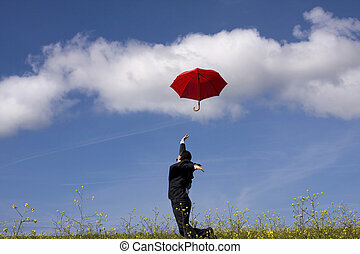 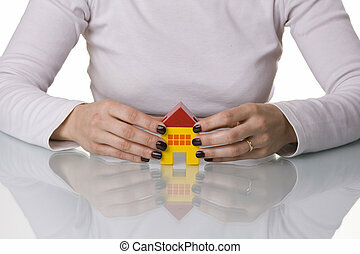 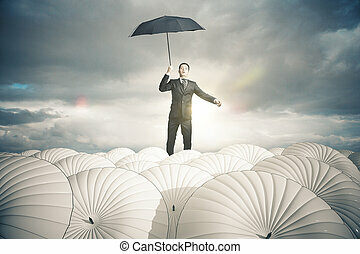 Business protection and risk management tax shelter as a businessman holding a blue umbrella with a storm and lightning above as a metaphor for security stress and a financial risks reduction concept. 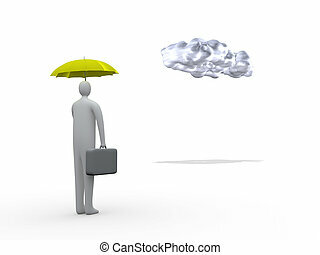 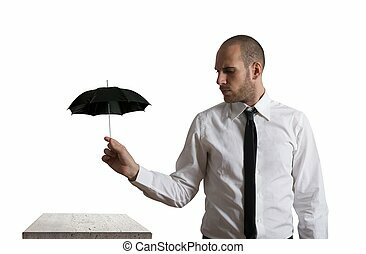 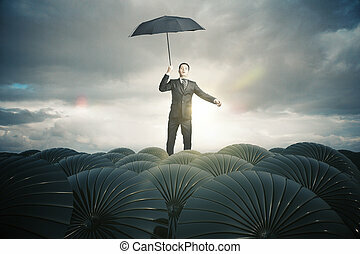 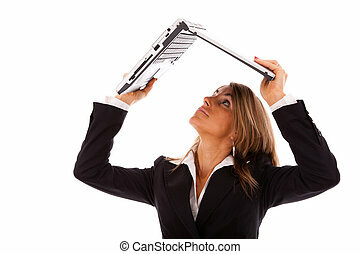 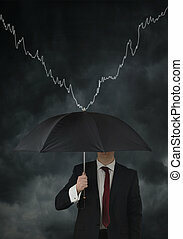 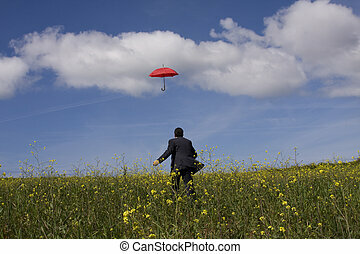 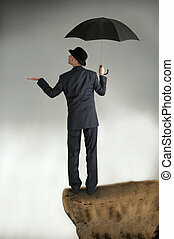 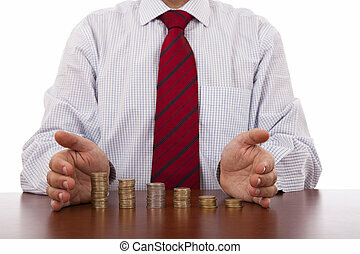 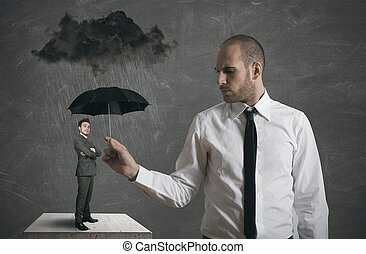 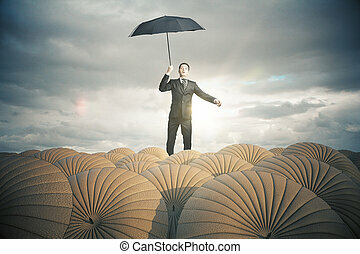 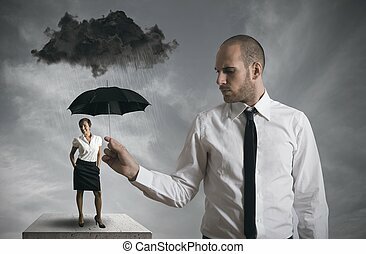 3d businessman holding an umbrella, looking at a rain-cloud. 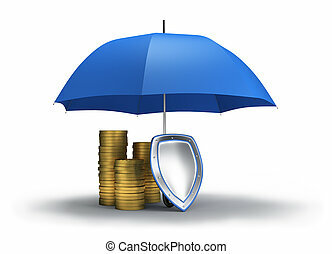 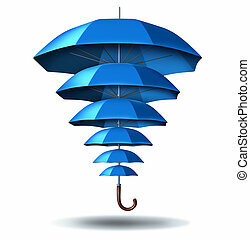 Increased business protection and growing community security concept with a blue umbrella metaphor changing in size from small to big protecting multiple smaller umbrellas connected together in a social network to protect team members.